Wanted to bookends this one. I learned about ant slavery yesterday; it was very interesting. 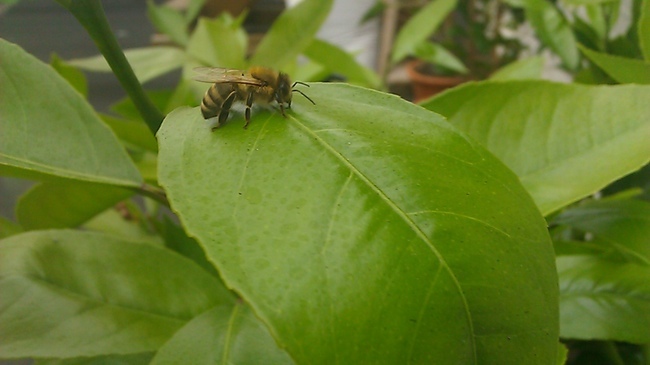 This is a picture of a bee on a leaf of my lemon tree before it got depressed.